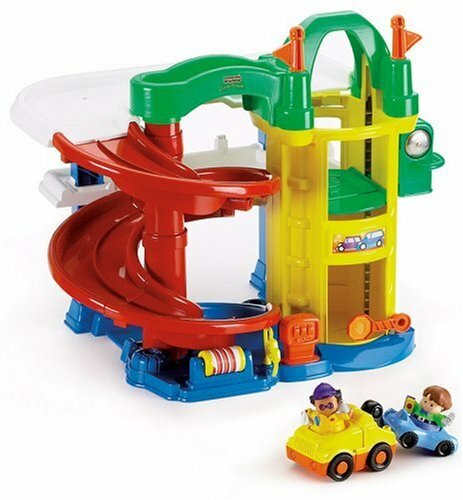 Zip and zoom cars around in this three-story garage that's packed with action features. The Racin' Ramps Garage has a three-story elevator with mechanical bell sounds that you can hear as you raise and lower it. The automatic stop sign "knows" when to lower and raise itself to signal traffic through. There is also a gas pump, bat-at air hose and tow truck with fun sounds. Includes two figures and passenger car. Requires 2 "AA" batteries, not included. Measures 21"L x 18"W x 19"H.